Fully equipped with the capability for the handling of LCL containerisation cargo. Cargoport secured facility are managed by professional agency for Safety, against Intrusion and prevention of Burglary. We believe that a good video surveillance system will enhance our overall security protocol. Cargoport utilises a digital network with video feed within a powerful management platform across multiple location. Exclusive clientele are allowed secure access to video view their cargo under our care instantaneously. Burglar alarms system prevent unnecessary occurrence of break-in and theft. The system provides an immediate response from the professional security agency. Our personnel with access to Cargoport controlled premises are issued with proximity cards or biometrics means. This is to prevent unauthorised personnel within our warehouse premises. 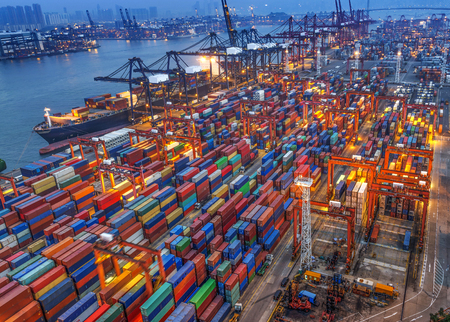 As Cargoport is located within the Free Trade Zone of the Port of Singapore Authority (PSA), the installation of automatic sprinkler systems is mandatory. An automatic sprinkler system is expected to provide sufficient evacuation time for the building occupants. It also assists in preventing the spread of fire to adjacent buildings and limits the damage to both cargo and property. Cargoport Pte Ltd was incorporated in April 1992. The company specialised in the handling of containerisation cargo and operate within the free trade zone of one of the busiest port in the world, Singapore.